Jan Zelezny's 94.74m world record in javelin throw. Set in Oslo in 1992 with a Nemeth Classic 90m javelin. 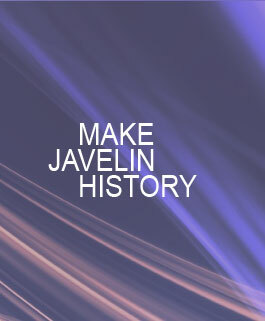 This was a rough surface type javelin, which was later ruled ineligible by the IAAF, thus the world record was deleted. Steve Backley of Great Britain threw a world record on July 20, 1990 with using the famous 'Nemeth' javelin that he borrowed from fellow competitor Jan Zelezny at the IAAF / Mobil London Grand Prix Parcelforce Games at Crystal Palace in London, England. Barbora Spotakova (Czech Rep.) 72.28 m World Record, 2008. Osleidys Menéndez (Cuba) 71.70m World Record, 2005. When winning the 2005 World Athletics Championships, Menéndez broke her own world record with a throw of 71.70 m.
Thrown at Bislett Games, Oslo, Norway in 2000. Christina Obergföll improved her own European record to 70.20m at the European Cup Super League meeting in Munich on June 23, 2007 with a Nemeth Classic 80m. At the 2005 World Championships in Athletics Christina Obergföll won the silver medal with a European record (70.03m) by finishing second behind Osleidys Menéndez, who set a new world record at the same event. Javelin used: Nemeth Classic 80m. Osleidys Menéndez (Cuba) 71.53m Olympic Record, 2004. In 2004 Osleidys Menéndez won the 2004 Olympic Games with an Olympic record throw of 71.53m on her first attempt. Zigismunds Sirmais (Latvia) 84.47m Junior World Record, 03.20.2011. Zigismunds Sirmais of Latvia threw 84.47m at the European Cup Winter Throwing meeting to break the world junior record set 10 years ago by world and Olympic champion Andreas Thorkildsen. Braian Toledo made a huge improvement to the world best on March 6, 2010 in Mar del Plata, throwing a new record of 89.34, on his first attempt.